Comcast’s Xfinity packages offer comprehensive channel lineups at an affordable price with the option for service without a contract. However, there are large variations across the different markets where Xfinity is available. Depending on where you live, you may qualify for different packages and more savings, making Xfinity a great deal. The biggest downside is not being able to get the X1 DVR without bundling your TV and internet. If you’re looking for both TV and internet, and don’t mind paying $20 a month for your DVR, go with Xfinity and enjoy the features of the X1. Xfinity’s packages and pricing can be very different depending on where you live. Most customers will be able to choose from at least 4 packages, and you may have even more options at your address. If you only want a few channels, go with Digital Economy and get all the most popular channels, including a few that other providers don’t include in their basic packages, like Animal Planet and Hallmark Channel. Upgrade to Digital Starter for sports channels like ESPN (there aren’t any in Digital Economy), or go with Digital Preferred for movie channels and networks from the MLB and NHL. For premium channels, including HBO and STARZ, you’ll need Digital Premier. Keep in mind that the more inclusive your package, the better the deal you get in the first year. However, the increase you experience during the second year and beyond is also greater. Beware - Pricing varies dramatically depending on where you live. What’s Included in a New XFINITY TV Package? What makes Xfinity’s packages worth choosing? There are a few extras that Comcast emphasizes to new customers, as well as a couple that you’ll need to dig a little deeper to find. Even without a contract, Xfinity offers all new customers a 12 month price guarantee, so your package price won’t change for the first year of your service. Most cable companies are fairly transparent about their refund policies, but Comcast Xfinity is very upfront about what they call “Customer Commitment.” This includes a 30 day money-back guarantee that covers one month’s service charges and your installation costs. This emphasis leads me to believe that cancelling in your first month would be relatively hassle-free, although I have not tried this for myself. Every package offers dozens of Music Choice channels in lots of different genres. This offer is not highlighted when you look at your package options, but go to the channel lineup and you’ll find the channels listed there. There are music channels, but they are not well advertised and vary per package. You’re not going to find a cable provider with everything you want included, and Xfinity is no exception. If you choose a package that isn’t specifically listed as “HD” (in some areas there are no HD options), you’ll pay up to $10 a month to upgrade to HD service instead of digital. Depending on what you’re used to, your TV and how much you watch TV, no HD may not be an issue, or it may be a big problem. There are extra fees for both broadcast TV (that’s your local channels) and regional sports. Locals will cost you up to $7 a month, while regional sports networks are up to $5 per month. Xfinity’s biggest cost is DVR service, which costs $19.95 a month. That can be broken down: $10 per month for the DVR service, plus your $9.95 HD fee. One of Comcast’s strengths is the number of add on package you can choose from. All the usual premium channels like HBO, Showtime, STARZ, Cinemax, The Movie Channel are available, as well as the Xfinity-exclusive Streampix. There are tons of on On Demand options, including movie packages, exercise channels, a karaoke network and a lot more. You can add on seasonal sports networks. There is also a Latino add on option for English TV plans if you’d rather not choose one of their Latino TV packages. The Xfinity’s flagship DVR, the X1, is one of the industry’s best, with the ability to record 6 shows at once with 500 GB of storage. However, it’s important to note that the X1 is only available if you have both TV and internet service through Comcast Xfinity. With that being said, if you are choosing to bundle TV and internet and want a DVR, you should definitely go with the X1. It costs the same as a regular DVR and has really cool features you’re not going to get with a standard DVR. Those features include a voice remote and recommendations tailored to your viewing habits. There are apps for Netflix, Pandora, YouTube, CBS Fantasy Football and sports game stats. You can take your DVR recordings with you on your phone or tablet via the download features, or stream them on Xfinity Stream. If you’re considering adding home security through Comcast as well, you can integrate it into your X1 to use your DVR and voice remote to control your security system. Adding more TVs to your Xfinity package is more complicated than it needs to be, at least when ordering online. For a TV adapter or HD TV adapter that delivers only local channels, you’ll pay an extra $5.99 per month. If you want your entire channel lineup with a guide, you’ll need either a TV Box or a HD TV Box, both available for $9.95 a month. The Xfinity Stream App is Comcast’s latest version of its live TV app. You can watch live TV from your TV package, download your recorded shows from your DVR, stream your recordings to your phone and watch On Demand shows. Xfinity is currently advertising free professional installation “for a limited time.” That offer does not include an end date, but we will be sure to update you on the latest Xfinity promotions. Sameer > As I understand you want to order new Xfinity services . Am I correct? guest_ > I have a couple of questions about TV with xfinity. I’m looking to get the X1, but there doesn’t seem to be a price anywhere or an option to add it to the TV package in my cart. Sameer > Thank you for the information . Sameer > I will surely help you with this. Sameer > To add X1 service on the account you just need to select X1 package for you and X1 feature will automatically selected . Sameer > May I please have your complete service address so that I can check the status ? Sameer > Please confirm if you need only cable service . Sameer > Please allow me a moment to check the best promotion for you . Sameer > I would like to inform you that X1 service is not available with only cable service. Internet and cable bundle package is require for X1 service . Xfinity does promise a 2 hour installation and appointment windows, with a $20 credit if they’re late, which is a nice show of effort on their part. There is also 24/7 customer support. Like most TV plans, the costs of an Xfinity package can add up. There are a couple of ways to keep your bills manageable though! Combining your TV and internet packages with Xfinity will keep the cost of both down. Depending on which TV and internet options you choose, savings include X1 DVR service free for 12 months, free HD, premium channel upgrades and more. Adding internet also gives you a price lock up to 36 months (depending on package and location). Depending on your location, you may have the option to sign a contract for your Xfinity TV package. While there are early termination fees if you go this route, you can also save $10+ a month. Some Xfinity service locations can also sign up for Autopay and EcoBill to save $5 a month. You’ll get your bill via email and what you owe is automatically taken out of your bank account. If you like to use these features for convenience anyway, the extra savings are a nice bonus. Definitely do sign up - you'' get a $5 charge every month on top of your package costs if you don't. Right now installation is free, but it probably won’t stay that way. Installing your equipment yourself can save you money if you know what you’re doing. 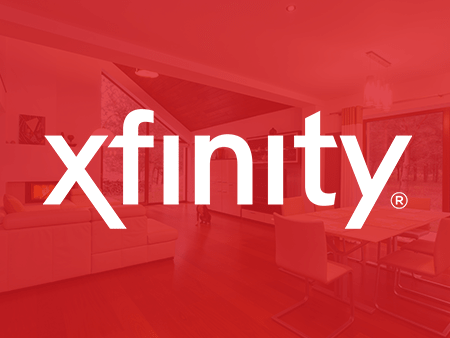 If your house or apartment had Xfinity service in the past, this shouldn’t be too difficult. For people looking for a basic TV package without bells and whistles, Xfinity is a good, reliable option. Don’t expect HD to be included or a fancy DVR (unless you’re bundling TV and internet). However, you will get a good channel lineup for an affordable price. There are also a ton of add on packages at fair prices that can help you customize your package. Depending on where you live, there are a lot of ways to save, including choosing a contract option and going with automatic payments. Right now, your installation is also free. Overall, if Xfinity is available in your home and you aren’t looking for anything fancy, Xfinity could be a great option. For the best mix of channels, we recommend Digital Preferred. You’ll get sports, kids’ channels and some movie networks, for around $59.99 a month during your first year, which we think is a pretty good value!